We’ve won the fight to end the discrimination built into the Housing Stabilization Fund (HSF). Starting December 15, as long as someone is on social assistance, they will be eligible for HSF. The City will no longer count people’s disability benefits (such as the Special Diet), Canada Child Benefits, and their assets against them when applying for HSF. The Toronto Employment and Social Services (TESS) announced the change at a City Council committee meeting on Tuesday, November 29. You can read their full report here. The change will have a major impact on all HSF applicants, but will particularly benefit ODSP (disability social assistance) recipients who faced a rejection rate of almost 50% last year. We also forced the City to broaden the furniture people get under the HSF when they have bedbugs. This isn’t being expanded to all necessary furniture and household items as we demanded but will now include “soft furniture.” However, we don’t yet know when this portion of the policy will be implemented. The struggle for HSF justice, however, isn’t over just yet. Some of the unjust parts of the policy remain intact (you can read about all of the problems with the HSF in our Left in the Lurch report). In addition to amending the eligibility criteria, TESS has signaled a bunch of other changes to the fund which currently have no details attached to them. These changes could be good, but they could also replicate the discrimination built into the HSF. You can read our analysis of the proposed changes by downloading it here. Patricia Walcot, the General Manager of TESS said at the CDRC committee meeting on Tuesday that all changes will be in effect as of February 1. This means TESS will have to work out and release details about all proposed changes ahead of the January City Council meeting. This has been a collective victory, including OCAP, Laura Bardeau who fought so hard for her rights, allied organizations, and the many people who wrote in or phoned city officials and came to protests. Note: Please let us know if you need ASL translation by December 10 by emailing or calling us. Toronto’s homeless shelter system is bursting at the seams. This is a city that drips with wealth yet abandons homeless people to die on the streets or face conditions of brutal overcrowding that denies them basic dignity and jeopardizes their health. All summer long homeless shelters have been packed, and now as we head into winter, there is real risk that even survival spaces like the Warming Centres and Out of the Cold facilities won’t be able to handle the overflow. The City must stop cutting shelter beds in the central core, and open new space now if are to avoid tragedies this winter. Join us for a rally & march to make sure the City opens desperately needed shelter space now. The Gala Premiere Screening of our new short film outside Mayor John Tory’s luxury condominium last night was a success. See media coverage on CityNews, Toronto Sun, Now Magazine, and CP24. Also, some pictures from last night are available here and here. The full video is also now online, please share it far and wide and join us in the streets to demand the City stop cutting shelter beds and open desperately needed new spaces. 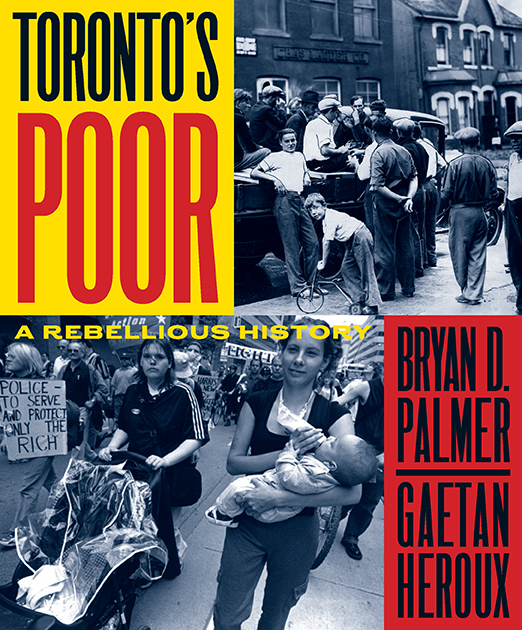 Join us for the launch of long-time OCAP member, Gaetan Heroux, and labour historian Bryan Palmer’s new book, Toronto’s Poor: A Rebellious History, documenting more than 180 years of poor people’s resistance in this City. The book reveals the long and too often forgotten history of poor people’s resistance. It details how the homeless, the unemployed, and the destitute have struggled to survive and secure food and shelter in the wake of the many panics, downturns, recessions, and depressions that punctuate the years from the 1830s to the present. It is about men, women, and children relegated to lives of desperation by an uncaring system, and how they have refused to be defeated. In that refusal, and in winning better conditions for themselves, Toronto’s poor create the possibility of a new kind of society, one ordered not by acquisition and individual advance, but by appreciations of collective rights and responsibilities. Written by a historian of the working-class and an anti-poverty activist, this rebellious history links past and present in an almost two-hundred year story of struggle and resistance, inspiring a sense of what can be accomplished when poor people fight to win. Now Magazine featured an article today about OCAP’s work in resisting the agenda of Liberal austerity that has moved from a question of reduced entitlement to that of lethal abandonment. 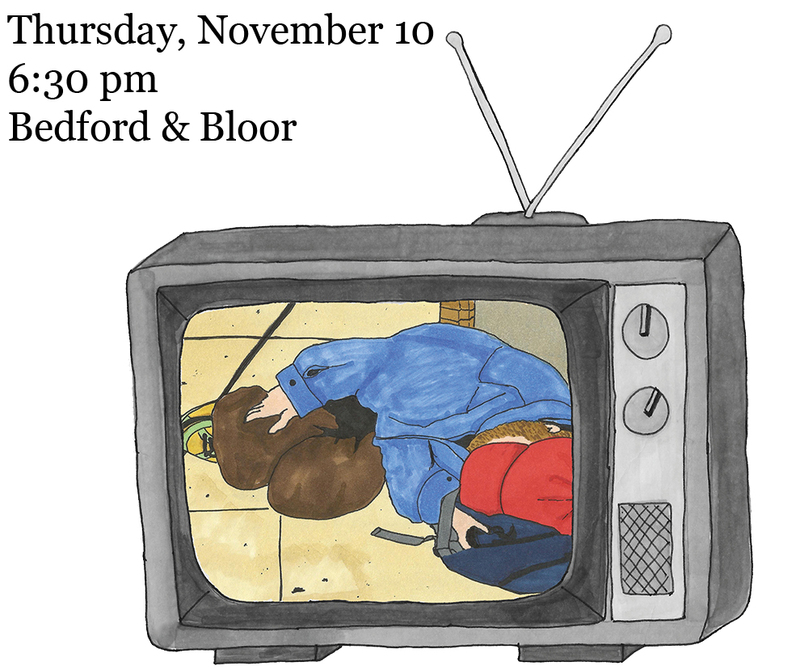 In collaboration with a few key allies, OCAP has made a short film on conditions of brutal overcrowding within Toronto’s homeless shelter system. We are going to show it outside the building where Mayor John Tory lives in somewhat better circumstances. As we move into winter, the homeless are being crammed into facilities where they face the most appalling conditions or are dumped onto the streets. The crisis is being compounded by a concerted drive by City Hall to move shelters out of the City core to make way for more upscale redevelopment. Come out, see the film and support the fight for the right to shelter. Note: One Bedford is just outside St. George subway station (accessible subway station). This past Wednesday, October 12, we led a mass delegation into Toronto City Hall to demand that the City immediately cease implementing the discriminatory aspects of the HSF policies, change them, and add $13 million to the fund to meet the need. Approximately fifty of us gathered in front of City Hall to bring our demands directly to the members of City Council responsible for this unjust and abusive situation. See more pictures of the action here, here and here. After speakers set out our demands and intentions, we marched into the building and made straight for the office of Mayor John Tory. We were met at the doors of the office by Tory’s representative and, of course, security staff. We were told that the City is preparing a consultation meeting, on October 20, to seek input into the HSF and how it is being implemented. We reminded them [see video] that two such consultations have already been held and nothing has changed as a result of them. We demanded that they stop denying the HSF unfairly, providing reduced amounts without cause and that they end the discriminatory policies they have in place that penalize disabled people and those with families. We informed them that if they bring forward real improvements in the HSF we’d be happy to consult with them but we would not legitimize a farce designed to delay such urgently needed measures. Having delivered this message, our delegation circled the rotunda of City Hall, loudly putting forward our demands to make sure the bureaucrats and politicians understand this fight would only end when #HSFJustice is won. 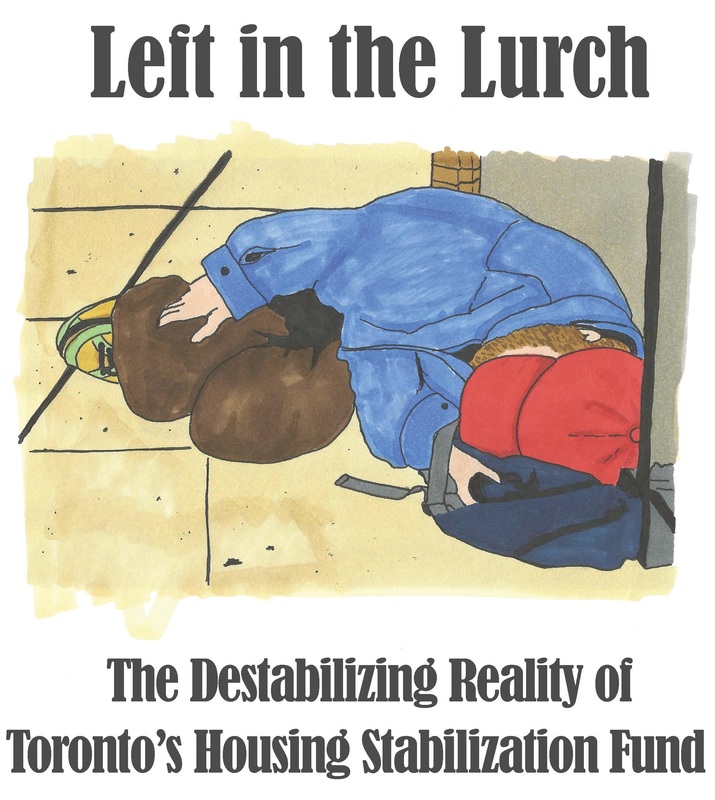 On October 8, we released a new report, Left in the Lurch: The Destabilizing Reality of Toronto’s Housing Stabilization Fund, which exposed how the City is systematically discriminating against disabled people and families with children in its administration of the Housing Stabilization Fund (HSF). The practice affects over 30,000 social assistance recipients who apply to the fund each year. Since the Ontario Government eliminated the Community Start Up and Maintenance Benefit (CSUMB) and downloaded the responsibility onto local governments in 2013, poor people across the province have had to try and contend with patchwork of inadequate local programs. 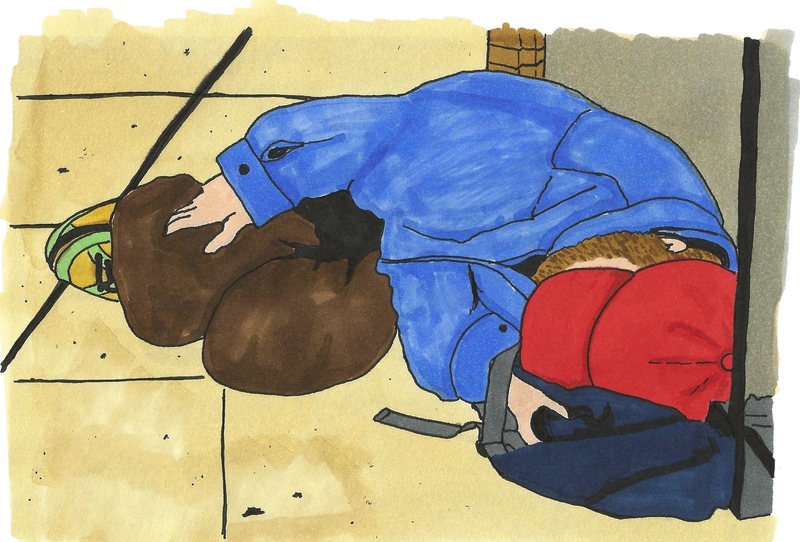 People in need and their advocates have found Toronto’s HSF to be a flawed system that utterly fails to provide those on the verge of homelessness with any real protection. Earlier this year, OCAP fought and won a long battle to ensure that Laura Bardeau and her family weren’t left without bedding and furniture after they were denied access to the HSF. Since then, we joined with the South Asian Legal Clinic of Ontario, in preparing the ‘Left in the Lurch’ report which details the arbitrary treatment, opaque policies and outright discrimination towards disabled people and families that plagues the City’s administration of the HSF. These gross violations built into the HSF policies can’t be allowed to stay in place. A housing fund that prevents homelessness and enables people to obtain homes to live in is a matter of vital necessity and we intend to win it. The report uncovers the discrimination and procedural injustice built into the City’s Housing Stabilization Fund (HSF), an emergency housing needs fund with a mandate to prevent homelessness. The report is based on an analysis of policy documents we forced the Toronto Employment and Social Services (TESS) to release over a two-month fight this summer around the case of Laura Bardeau, a disabled single mother of two children (also living with disabilities) who was refused access to the fund. As the report makes clear, Laura was not alone. The arbitrariness and discrimination she experienced is systemic and affects over 30,000 social assistance recipients who apply to the fund each year. The report demonstrates how the current HSF policies discriminate against disabled people and people with children, and the how lack of transparency in its administration has paved way for rampant arbitrariness in decision-making. The report was created in collaboration with the South Asian Legal Clinic of Ontario.